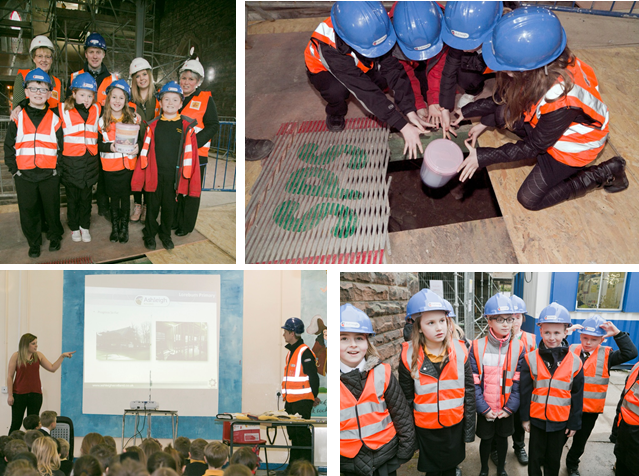 Our Business Co-Ordinator Claire Hosie and Project Manager Stefan Stankiewicz recently gave a presentation to Loreburn Primary School about our development project at Old Townhead Church. They were accompanied by Linda Whitelaw and Heather Hall from the Inspired Community Engagement Trust who discussed the refurbishment of Old Townhead church into The Usual Place Café and the importance of the cafe to young people with additional support needs. 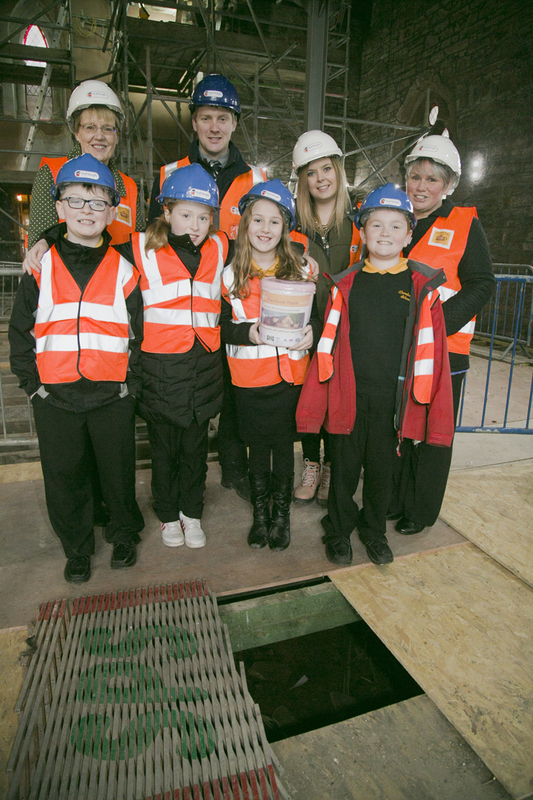 After the presentation the Primary Five Pupils accompanied our Project Manager to the site where they were taken on a walk round and shown the plans for the new café. 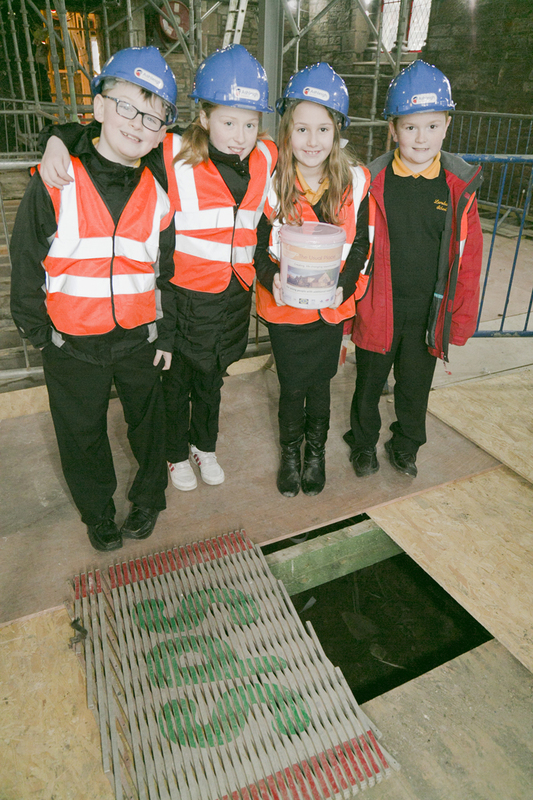 The pupils were also asked to participate in the burial of a time capsule which contained old and current information. 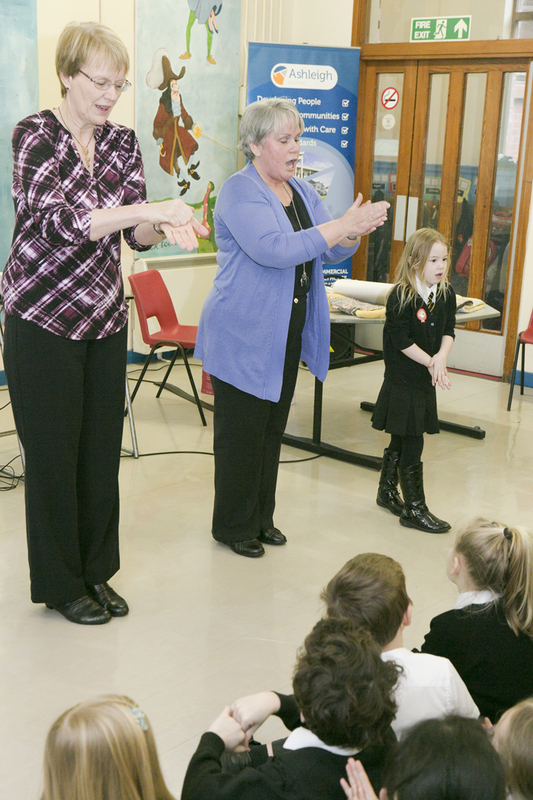 The pupils at Loreburn were also asked to participate in a “Dining Out” competition to design what their favourite restaurant would look like. The winner will win a family day out at Mabie Farm Park, Dumfries.